President Vladimir Putin and his Chinese counterpart Xi Jinping demonstrated their cooking skills on Tuesday after their talks in Russia’s eastern city of Vladivostok. 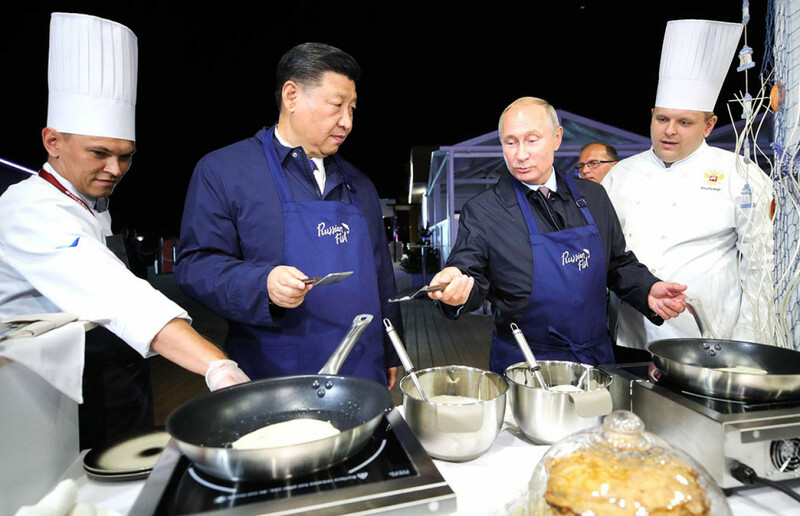 With kitchen aprons on, Putin and Xi fried traditional Russian pancakes — also known as bliny — and tried them with seafood delicacies including red and black caviar. 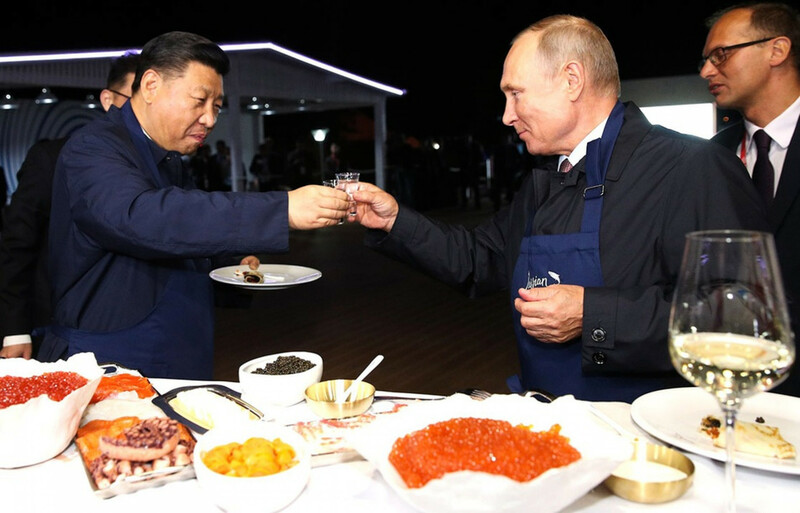 The leaders were also offered vodka shots which they drank after toasting each other. 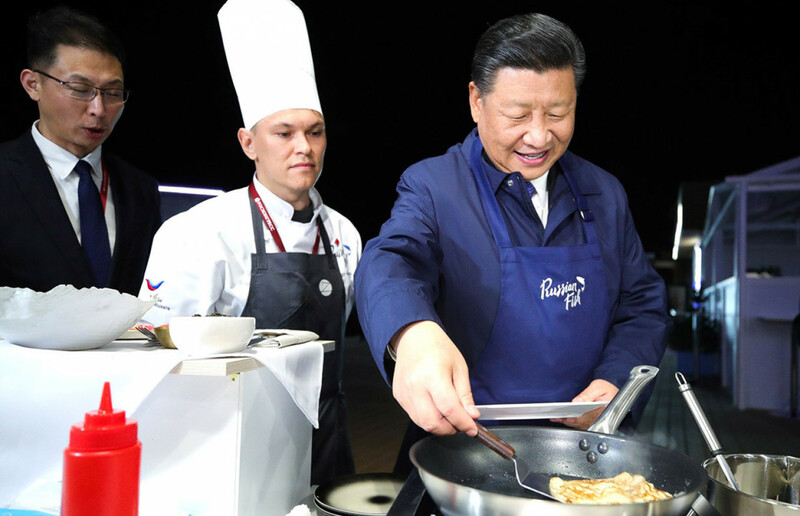 Putin, dressed in an apron showed Xi how to pour dough on a frying pan and turn pancakes. 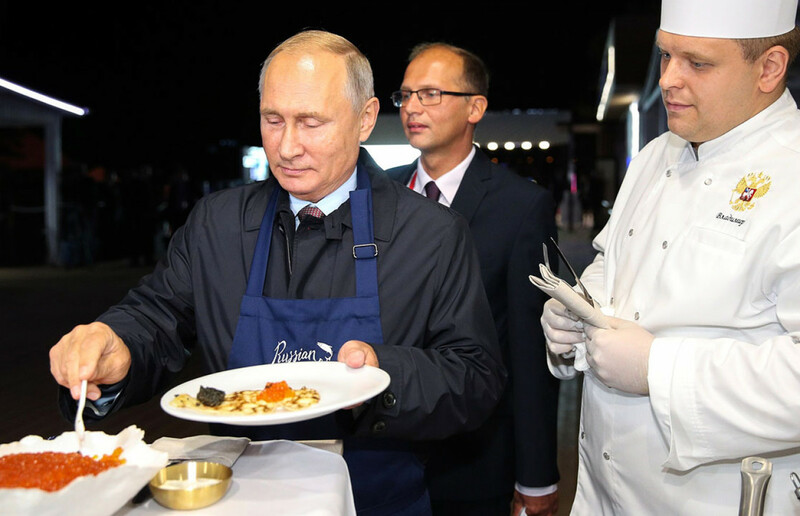 Later he invited him to taste pancakes by adding Russian caviar.